Hey guys! 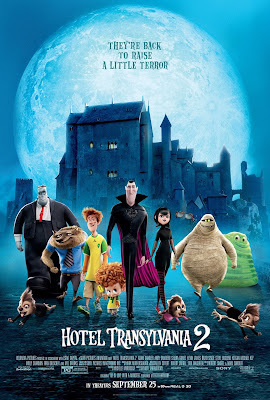 We had the amazing opportunity to go to an early screening of Hotel Transylvania 2 ! We are HUGE fans of HT 1 so this was something the entire family was excited about!! First let's talk about the what Hotel Transylvania 2 is all about. In part one, Mavis (daughter of Drac) falls in love with a Human! *gasp* Drac has spent the past 100+ years shielding his only child from the horrible humans. It ends with Drac and the other monsters realizing that maybe humans aren't so bad after all. In part two, Mavis and Johnny (the human) have gotten married and had their own little monster. Or is he? Drac is convinced with such strong dracula lines, Dennis MUST be a monster, while Mavis is happy if he is a monster or human. Mavis has decided that if Dennis does turn out to be human, perhaps they should move to a more human location. 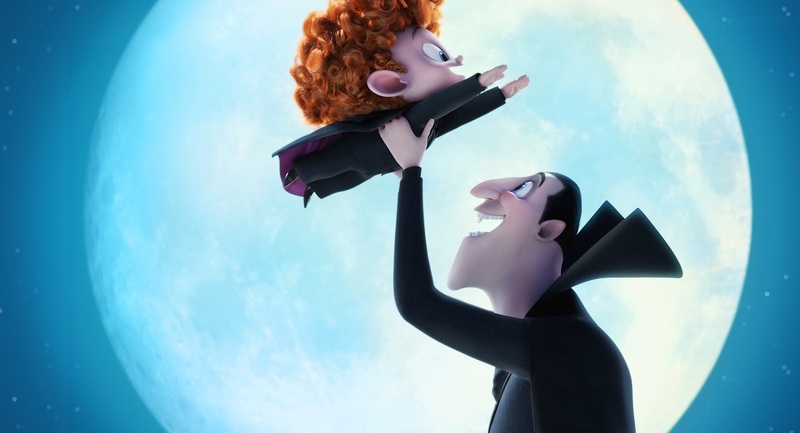 Meanwhile, Drac is determined to bring out Dennis' vampire side no matter what. 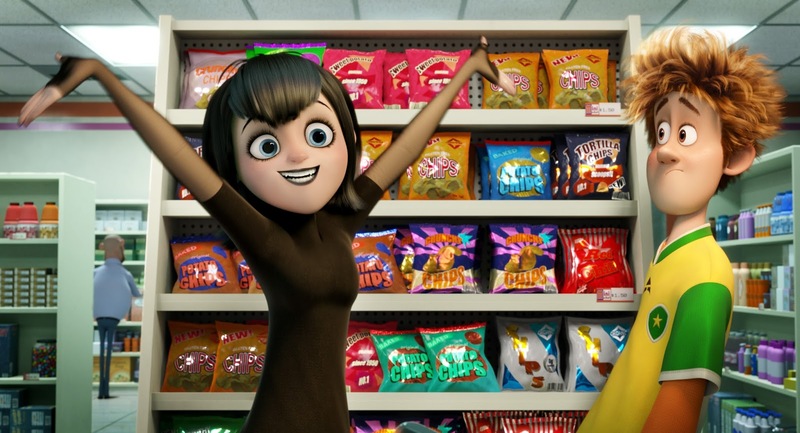 Mavis and Johnny go on a vacation to California where Mavis learns the many perks of the human world - Slurpees have SO many flavors!! Back in Transylvania, Drac and the gang embark on an adventure to force Dennis' fangs to come through. The entire family loved this movie. The kids even proclaimed that they thought part 2 was better than part 1! How often do you hear that?! lol! I loved the story line behind it. Learning to accept a person (or monster) as they are. Drac is determined that Dennis must be a monster but in the end when it looks like he is a human for sure, he realizes that it doesn't matter. Dennis is his grandson and he loves and accepts him as he is. There were so many funny parts but the top billing (according to the kids) is when a certain vampire bat has a large puff of hair. They couldn't stop giggling over that! We can't wait to buy this one and add it to our movie collection ! This one is well worth the movie ticket! I will say that we saw it in 3D and while it was good like that, I didn't feel it had a TON of 3D effects and would be just as good in regular format ;) So get ready to check it out and be sure to let me know what you thought!